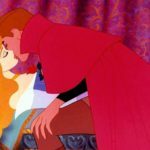 Disney’s version of Sleeping Beauty is one of the greatest animated films of all time, but it came at the cost of many changes to the original story. Kids in the modern era rarely get exposed to these fairytales as they existed for centuries before. 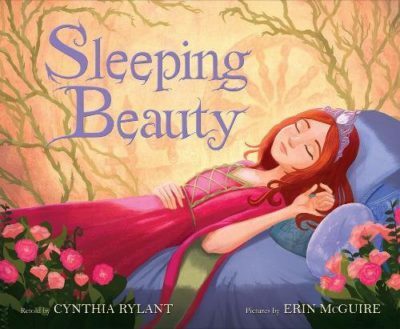 But thanks to author Cynthia Rylant, a new generation of kids can reconnect with the original fairytale thanks to her new children’s book version of Sleeping Beauty. The source material for Disney’s version came from two stories, Charles Perrault’s The Beauty Sleeping in the Wood and the Brothers Grimm’s Briar Rose. Both tales were based on oral fairytales that predate these written versions, both of which were published in the 17th centuray and the story even has roots back to the 14th century. This retelling strays closer to the first half of Perrault’s tale, which is where the Disney film ends the story as well. At its essence, it’s still the same tale. However, there are quite a few differences. There are seven good fairies in this tale and one wicked fairy, who is nameless and does not return after placing her curse on the newborn princess. She also does not leave the comfort of her palace to grow up with the fairies, but happens upon a spinning wheel at a cottage in the woods. And the prince doesn’t show up until the last pages, who is separated by a distance of 100 years, the duration of the princess’ sleeping curse. 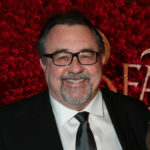 Last March, Cynthia Rylant modified the original tale of Beauty and the Beast to coincide with the live action remake’s theatrical release. Sleeping Beauty follows the exact same format and with beautiful illustrations by Erin McQuire. 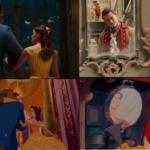 While it is published by Disney Press, it makes every effort to set itself apart in its artistic design. From the cover, the princess has auburn hair. The fairies are multicultural with dresses made of flower petals and the wicked fairy wears a crown of thorns, but bears little resemblance to Maleficent. The style is more like a classic fairytale and less like Eyvind Earle’s tapestry designs, but still an incredibly pleasing result. I really enjoyed reconnecting with the roots of the Sleeping Beauty story in this new children’s book. There’s nothing wrong with the Disney version and if anything, it’s a more modern take (even at almost 60 years old). 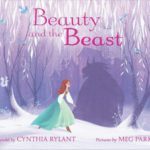 But if you want your kids to learn the original fables, then you will love sharing Cynthia Rylant’s version of Sleeping Beauty with them.